Atlantech Online announced today the installation of fiber into 1401 and 1451 Rockville Pike, adding another pair of Class A office buildings to our portfolio of "lit" buildings in the DC Metro region. 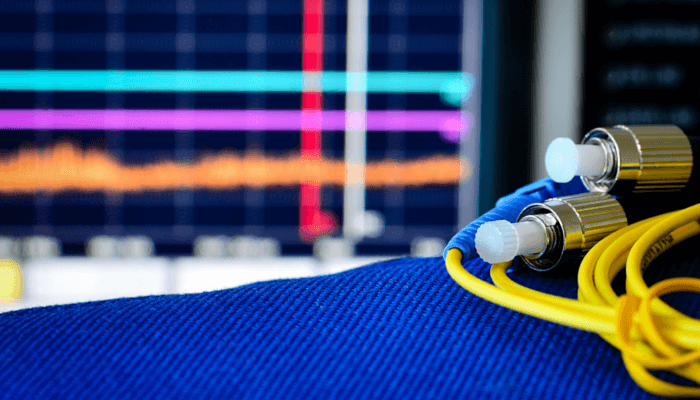 With fiber on site, tenants at either location can take advantage of high speed Internet access at attractive price points when compared to currently available telecommunication circuits. For instance, tenants can enjoy dedicated Ethernet connections at 100 Mbps or 1000 Mbps starting for as low as $750 per month. Many other bandwidth options are available at various price points. Additionally, tenants will be able to enjoy flat rate business phone service delivered via Atlantech’s fiber network and be on-net with our Hosted PBX service. And because Atlantech connects to cloud providers (and other regional data centers) such as AWS, Azure and others, customers can enjoy direct connections into their cloud, be it public, private or hybrid. Because our fiber ring already travelled along Rockville Pike by these buildings, it was relatively easy and straightforward to light both of the buildings. Though the buildings share a driveway off of Rockville Pike, there are separate laterals that go into each building. In fact, there are two 10 GigE paths into each building. A government agency asking for service provided the impetus to buildout into 1401 Rockville Pike and some commercial clients requested the buildout into 1451. As a result of the fiber being on site, Atlantech Online will be able to deliver a SIP trunking service to a tenant that operates a call center that has hundreds of agents. 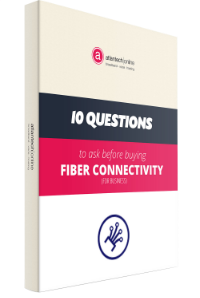 If you are a tenant in a building that is not already lit with fiber, please contact Atlantech Online today. There are many benefits to connecting to our network via fiber. If you’re not familiar some of the reasons why business should use fiber, read this recent blog post for more details: https://www.atlantech.net/blog/11-huge-business-benefits-of-fiber-internet-connectivity.